B Grade Produce–looks good, doesn’t it? Yesterday we went to the farm and got B Grade produce. B Grade produce is the best kept secret on the planet. Some, like peaches and tomatoes, are overripe, needing to be eaten or canned immediately. 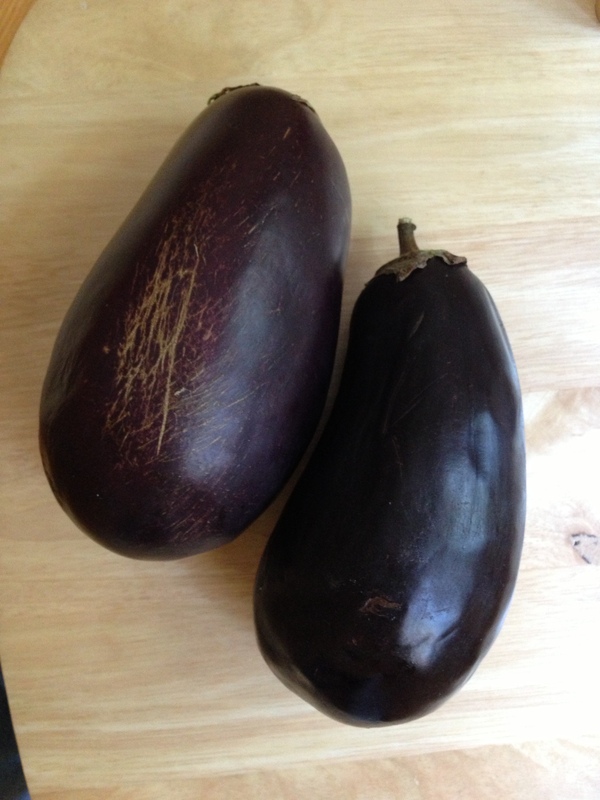 Others, like eggplants and apples just don’t look good on supermarket shelves. They have blemishes, marks, the occasional bruise or two–they have fallen, been knocked around, and once in a while have a bit of a hole in one side. They’re not perfect. Sort of like me. I have an affinity for them. My frugal side loves them, too, because they’re nearly free pound for pound. Is there anything wrong with this? I think not. The problem is this–we’ve been trained to look for uniform apples on supermarket shelves for so long that we pass by the things in nature that are slightly off or unique. Wabi-sabi. 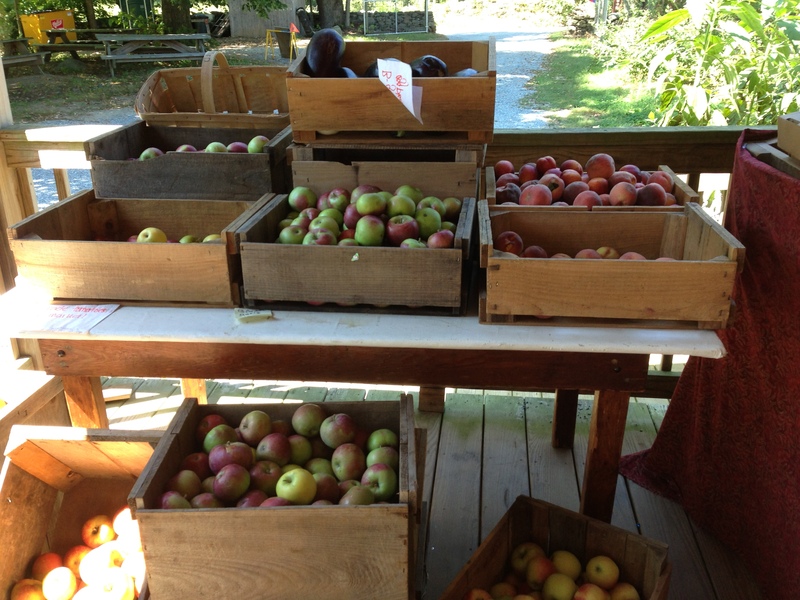 Apples must be perfectly sized and colored, stacked in rows higher than the average shopper so we’ll buy them. The fact that they lost half of their taste on the way across the globe and the other half of was bred out of them is inconsequential. “Apples aren’t round in nature. Only in science fiction and supermarkets. 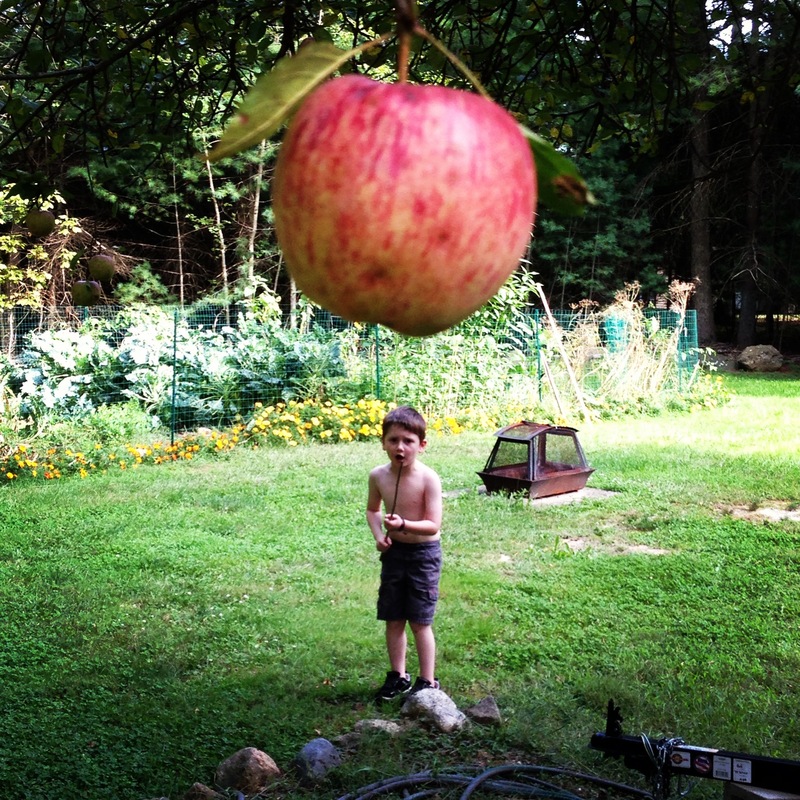 Let’s go look at our apple tree.” Our apples aren’t early season, so we can’t quite eat them. They’re growing nicely, but they won’t be perfectly round. One or two have a bite out of them from our friendly neighborhood chipmunk who will have a bite out of him from our friendly neighborhood dog when he finally gets caught. If I were this giant apple, I’d retaliate. I’d applesauce this kid. Squash. “I don’t want to look at apples,” he said. “I want the round one.” Luckily, I still had a few that had traveled halfway around the globe, leaving their taste behind. “Okay, have the Frankenapple.” He took it. He gave me his lopsided apple, happy as a clam. “Frankenstein?” he said, “It’s almost Halloween.” Halloween is his favorite holiday. Except for Christmas, thank you consumerism. It’s not almost Halloween, even if the stuff is out in the store so we can buy more, sooner, and out of season–no different than buying traveling apples, I guess. “Halloween was built around harvest, too.” I think. Just like this tasty, imperfect-looking apple I scored in the trade.